Add link buttons to your pages. NOTE: buttons style may change when you view your site with different web browsers. Use the updated link list component to easily create linked lists with sections. The links component also supports the button styles and has a horizontal display setting. Use the new overlay window component to display site content in an overlay on your website. To create a overlay window edit any page. 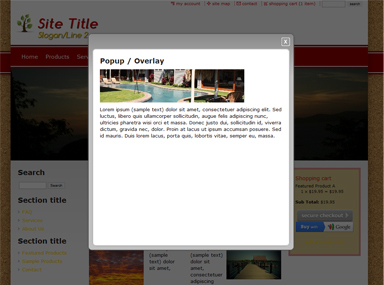 Click the add button and choose the overlay window component from the design/layout menu. It is now easier to setup your website for mobile devices. With the new mobile content options enabled, your main website pages are adjusted to fit better on mobile devices. The mobile adjustments do not guarantee that all pages will fit on mobile, but it can help your site work better on mobile devices. Your content is adjusted by stacking page sections instead of displaying them side by side. Other multi-column areas are displayed vertically as well. To enable main website mobile display, go to the mobile settings area. A very early access version of the single page checkout feature is now available. This feature is currently under development and is not fully functional. To try out the single page checkout, go to the main store manager page and click the phone orders link on the right side of the page. 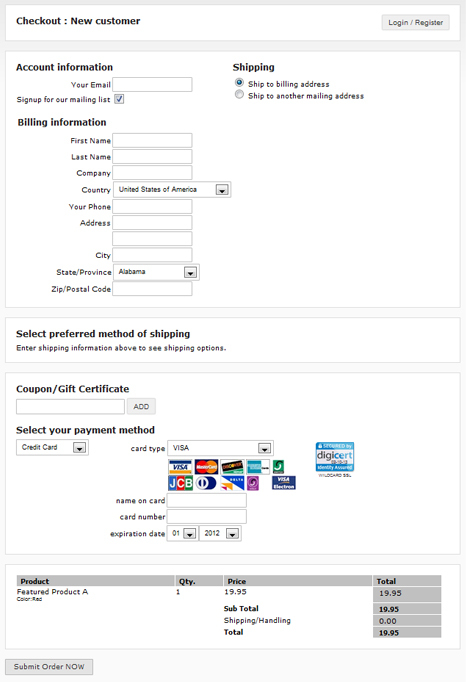 Add products to the cart and click the single page checkout button at the bottom of the page. The checkout form automatically adjusts and updates based on information entered by shoppers. Ex. 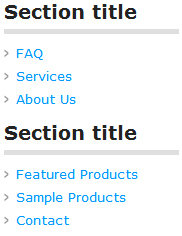 When the shipping address is updated, shipping rates are automatically recomputed and displayed on the page. We have many new features currently in development. These features are designed to make the system easier to use, provide more advanced user experiences and create visually dynamic sites.